ADELPHI, MD. 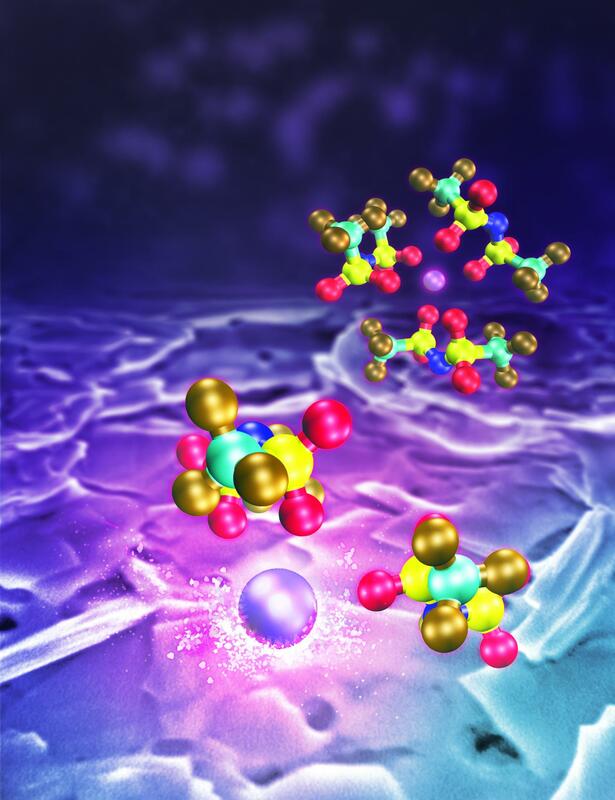 — Army scientists, with a team of researchers from the University of Maryland and the National Institute of Standards and Technology, have created a water-based zinc battery that is simultaneously powerful, rechargeable and intrinsically safe. The high-impact journal Nature Materials published a peer-reviewed paper based on this ground-breaking research April 16. In prior achievements, these scientists invented a new class of water-based electrolytes that can work under extreme electrochemical conditions that ordinary water cannot, and have successfully applied it on different lithium-ion chemistries. In this work, they adapted the electrolyte to a battery chemistry much cheaper than lithium: Zinc, and they demonstrated that an aqueous battery can satisfy the multi-facet goals of high energy, high safety and low cost simultaneously. The world's very first battery used zinc as anode in 1799. In the following two centuries, many zinc-based batteries were commercialized, some of which are still on market. These batteries used to provide safe and reliable energy, although at moderate energy density, to satisfy our daily needs, but their presence in our lives has significantly shrunken since the emergence of lithium-ion batteries 28 years ago. Besides energy density, a major reason for the diminishing role of zinc batteries is the poor reversibility of the zinc chemistry in aqueous electrolytes. Non-rechargeable batteries already created significant amount of landfill, imposing serious environmental burden on industrialized societies. "On the other hand, with increasing presence of lithium-ion batteries in our lives, from portable electronics to electric vehicles, their safety raises more public concerns, from Tesla car fires to the global grounding of the entire Boeing 787 fleet," explained Dr. Kang Xu, who is an ARL fellow and team leader, and co-corresponding authors of this paper. "The safety hazard of lithium-ion batteries are rooted in the highly flammable and toxic non-aqueous electrolytes used therein. The batteries of aqueous nature thus become attractive, if they can be made rechargeable with high energy densities. Zinc is a natural candidate." The researchers said the new aqueous zinc battery could eventually be used not just in consumer electronics, but also in extreme conditions to improve the performance of safety-critical vehicles such as those used in aerospace, military and deep-ocean environments. As an example of the aqueous zinc battery's power and safety, Fei Wang, a jointly appointed postdoctoral associate at UMD's Clark School and ARL, and first author of the paper, cites the numerous battery fire incidents in cell phones, laptops and electric cars highlighted in recent media coverage. The new aqueous zinc battery presented in this work could be the answer to the call for safe battery chemistry while still maintaining the comparable or even higher energy densities of conventional lithium-ion batteries. "Water-based batteries could be crucial to preventing fires in electronics, but their energy storage and capacity have been limited — until now. For the first time, we have a battery that could compete with the lithium-ion batteries in energy density, but without the risk of explosion or fire," Wang said. This highly concentrated aqueous zinc battery also overcomes other disadvantages of conventional zinc batteries, such as the capacity to endure only limited recharging cycles, dendrite (tree-like structures of crystals) growth during usage and recharging, and sustained water consumption, resulting in the need to regularly replenishing the batteries' electrolyte with water. "The significant discovery made in this work has touched the core problem of aqueous zinc batteries, and could impact other aqueous or non-aqueous multivalence cation chemistries that face similar challenges, such as magnesium and aluminum batteries", Xu said. "A much more difficult challenge is, of course, the reversibility of lithium metal, which faces similar but much more difficult challenges." Resolution of lithium-metal deposition could unlock the "Holy Grail" of all batteries, which is the area where these scientists are closely working on with the scientists at the Department of Energy, he said. The research received funding support from the Department of Energy Advanced Research Projects Agency-Energy and the University of Maryland Center for Research in Extreme Batteries. The authors acknowledged additional support from the University of Maryland NanoCenter.